The meeting with our builder went better than I expected. It was a long meeting with lots of discussion about possibilities for reducing costs. It was obvious that he had given a lot of thought to what could be done to stay in our budget. You can read about our budget concerns here. I expected to have to give up many of my “must haves” in order to bring down our costs. However, it was much less painful than I imagined and with a few changes the cost will be more manageable. We’ll still have lots of windows, the pantry is still in the design, hubby will have a workshop and I finally get a big porch. Some of the items that will help reduce the cost were an easy decision. We decided on an open floor plan, a gas fireplace, a gravel drive for the RV and few if any custom built-ins. On the other hand some items are still negotiable depending on the budget as we beginning building. There may not be a sink in the laundry room, the ceilings in the bedrooms may be 9ft instead of 10ft, and we’ll have to work on the landscaping over time. For the most part the compromises are few and easy to accept. And now, we’re moving on to the next step. Which simply means that the architect is working on our elevation plan. I was a little confused by the term, “elevation plan”; so of course I had to do a little research. Evidently, the house design we’ve been working on is actually called a floor plan. A floor plan is a view of a building drawn as if you were looking at it from the ceiling. This next drawing will be an elevation drawing, which is the view that you would see in real life as you stood on the floor or ground and looked at the wall. Our elevation drawing will include the exterior and interior views. This is exciting because this is where we’ll finalize the outside appearance of our new home and see the placement of interior fixtures. I believe once we see and approve the elevation drawings that this will become much more real to us. As important as I know the planning stage is to the success of building the home we want; I am ready to see actual physical work happening on our lot. This waiting phase hasn’t stopped my brain from spinning. HGTV hasn’t taken me up on my idea for the new show; so I guess we’re on our own. Most days, I complete a little research about designing and building a home. I follow several blogs about building and decorating. I follow designers, builders and decorators on Pinterest. I have several Pinterest boards devoted to our home to be. 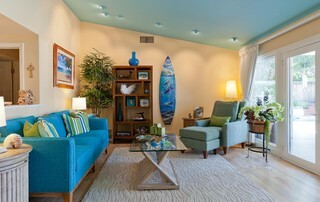 I think my favorite board is “Beachy Decorations” because I’m so excited about decorating our new home. 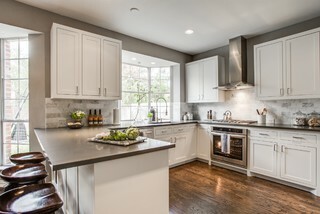 Houzz is also a great place to find inspiration and guidance. I’ve started narrowing the content in my idea books by moving photos/ideas that make the cut to idea books that start with FAV- (i.e. Fav color). I also have an idea book titled “In My Dreams”. It has all those photos and ideas that I’d consider if we had an unlimited budget. Moving into a new home provides a great opportunity to consider our decorating style. 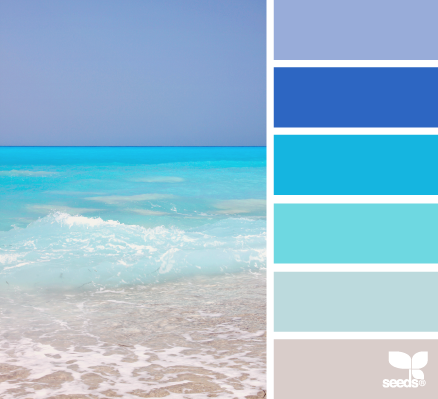 It may seem rather predictable; but our decorating style will be beachy or coastal. It just seems the right style since we’re building close to a lake. I haven’t decided how beachy I want to go; but I know that it will be completely different from what we have now. Luckily, most of our furniture will transition to a beachy cottage scheme. We’ll be able to keep most of our furniture which is great because either it has sentimental value or we like it. I plan to replace our brown leather sofa and a green double chair. I hope to find something in blue or grey for our family room furniture. I’d really like a sectional; but hubby may not agree. Our family room tables will work if lightened with paint or glaze. Our master bedroom furniture , the guest room bed and my grandmother’s dining table will move with us. I’ll also take my multitude of bookcases even though I may find that I don’t need all of them once we get settled. (I’m desperately trying to weed my book collection; but it’s a hard chore for a librarian.) We will need new furniture for our grandsons’ room. We want them to have a space in our home that they feel is always there for them. A space that we will design just for them (and that will grow with them through the years). 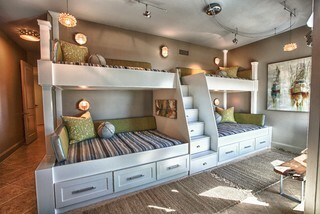 Because there are three boys, we’ve decided on a bunk house look with two sets of bunks on one wall. The bunks should really be custom-built to fit in the room. Hopefully, we can find some bunks that will fit with a little modification. 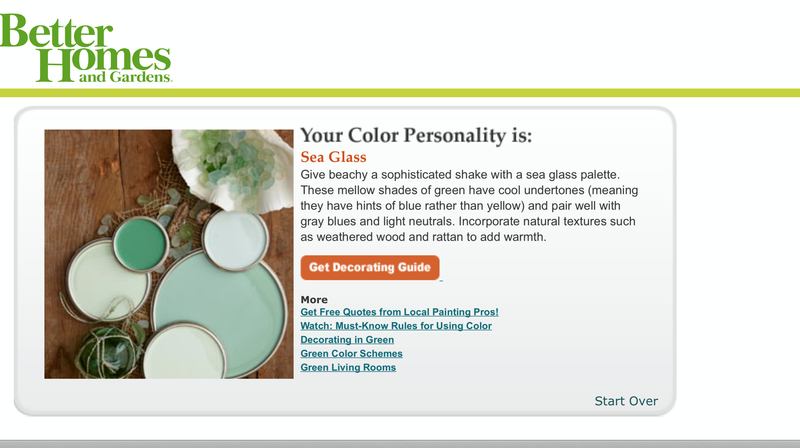 These sea glass colors are a great start; but I also want to add some blues and greys. Purple has been my favorite color since I was a teen; so there will be a few touches of purple in most rooms. The guest bath will be shades of aqua. Here’s an example of a wonderful aqua tile that I really love. My concern is that the color will become old in a few years. (Our first home was built in the 1950s and had awkward pink tile in the kitchen and bath. Could aqua be that color in a few years?) I might use the aqua color tile as a decorative trim. The guest room colors will be similar to this photo. I love the surfboard; but I know it is completely out of the budget. Maybe I can DIY some type of art work instead. David Bromstad, where are you when I need you? He could easily come up with the perfect artwork. 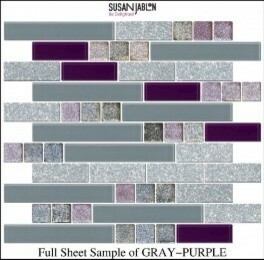 The master bath will be various shades of grey with either purple or navy. It will depend on what color we choose for the master bedroom. The inspiration for the color in the master is a wonderful painting of a lighthouse and the ocean. Looking at this painting makes me feel calm and peaceful which is the feeling I want in our master. I’m still looking for the perfect bedding before deciding on the colors. Look for more specifics about our decorating, colors and the elevation drawing in my next posts. 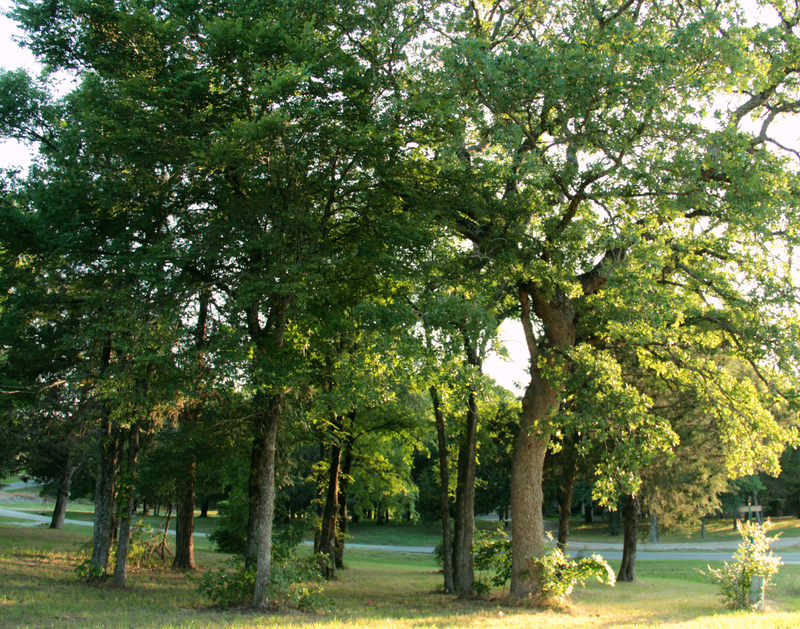 Click on these links to read my other Let’s Build a House posts. Tags: baths, Better Homes & Gardens, blues, brothers, build, build a house, color, color scheme, creative, decisions, decorating, design plans, diy, dream home, furniture, grandsons, grey, HGTV, house plans, hozz.com, kitchens, lake house, pinterest.com, plans, sea glass. Bookmark the permalink.